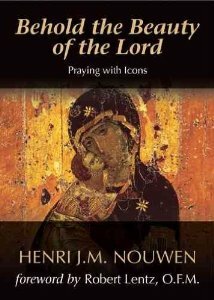 This is a book of meditations penned by famed Catholic writer Henri Nouwen, growing out of his contemplation of icons during sojourns at l'Arche, a community for people with mental handicaps in Trosly, France. (Cover slightly different than picture shown.) 128 pp.